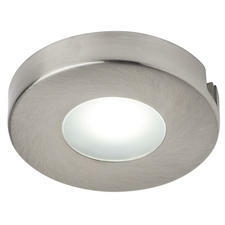 Brighten any room with our range of LED Downlights that can be mounted or recessed into a surface. These high-quality lights are more eco-friendly and energy efficient than halogen designs and provide just as much brightness. First Lighting has fittings that are perfect for both the kitchen and bathroom and watts ranging from one to a maximum of 35, so there’s no doubt you’ll have everything you need with our professional, yet affordable collection. Here at First Lighting you’ll find a selection of LED Downlights that are high quality, look sleek and stylish, are extremely affordable and many of which are fully adjustable. 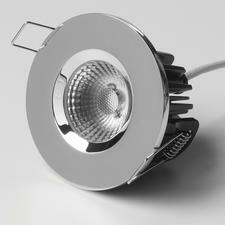 We also stock fire rated downlights, which are designed as a safety measure. 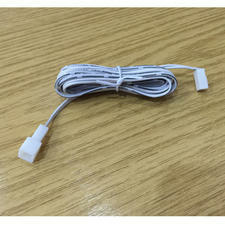 These fittings are recommended for use in homes and can also be fitted in some commercial buildings. 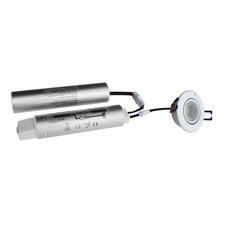 Even though downlights are designed to beam the light down, as opposed to ceiling lights which light up the ceiling, these fittings can still be used for ambience as some of the products are fully dimmable with most wall dimmers. 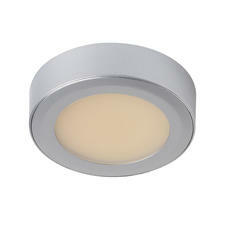 The Switchable COB Fire Rated Ceiling downlight offers a complete range of features all in one fitting. 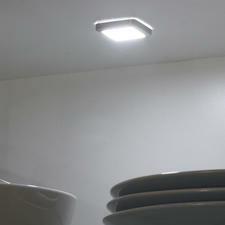 It features a COB LED which can be changed from 3000k to 4000k to 5500k colour rendition, all by simply using the switch on the back of the fitting. This fixture can also be used as a dimmable light, and there’s a choice of three different bezels which are included in the box, you can choose from white, polished chrome or brushed nickel, or switch it up when you fancy a change. Whilst downlights might be considered more functional than design-led, and ideal for minimalist homes, you can still give a design aspect to the surface they’re on with the Venice Downlights which come in an array of shapes, triangle, square, and circle. But if it just brightness that you’re after, then the new Halo range is what you need. 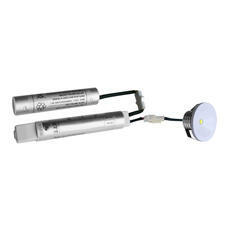 They’re currently the brightest 12vdc multipoint LED on the market, being 30% brighter than others currently available. Whether you want or practical, stylish or both, First Lighting have the LED Downlight options you need all with a high-rate design and an accessible price point.